I have always wanted to make my own bread for the family as the smell of bread is just so heavenly and I have always wished for that kind of scent to permeate through my whole house with freshly baked bread for the family. So went to the library today to borrow this book. 1) Pour the water into the bowl and whisk in the yeast. Wait 30s and whisk again. 2) Use a rubber spatula to stir in the flour into the yeast and water mixture a little at a time. Make sure all the flour is mixed into the liquid and there isn't any clinging to the side of the bowl. 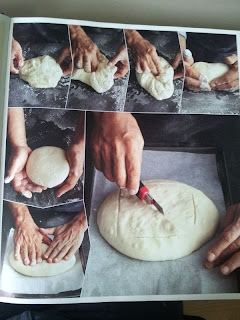 7) To for the dough into a boule-shaped loaf, use a flexible plastic scraper to slide it from the bowl to a floured work surface; try not to deflate the dough. 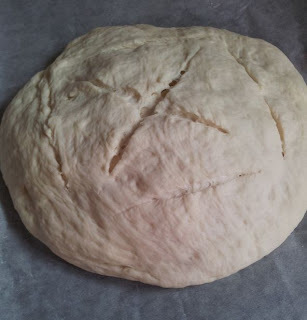 Fold the edges of the dough all around its perimeter into the centre. 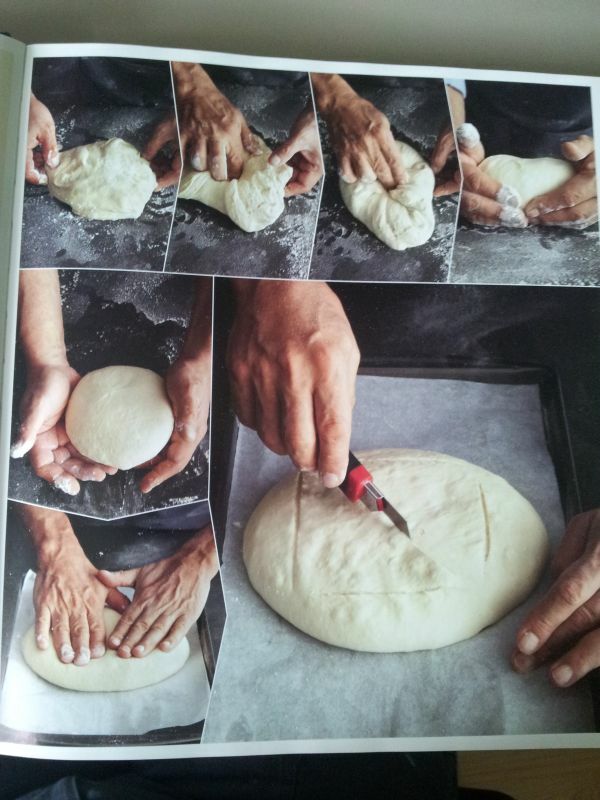 Round the loaf by pushing against the bottom of the dough all around with the sides of your hands held palms upward. The dough will quickly form an even sphere..
8) Place the dough on the baking sheet and cover it with a tea towel or oiled clingfilm. Let the dough rest until it starts to puff again about 30 mins. Set a rack in the middle level of the over and preheat to 230 degrees celsius/gas mark 8. 9) Once the dough is proofed about 50% larger, flour the palms of your hands and gently press to flatten it to about 4 cm thick. Use a knife or razor blade to cut 4 slashes in the form of a square at the edges of the loaf and a 3mm deep slash across the diameter of the loaf, then generously spray it with water. Place it in the oven. 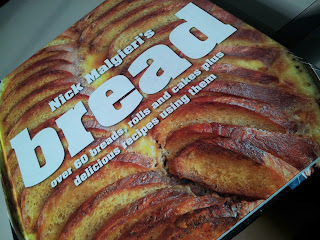 10) Wait 5 mins, then open the oven and spray the loaf again and reduce the oven to 220 degrees celsius/gas mark 7. Bake until well risen and deep golden. Internal temperature reads 93 degrees celsius, 20-30 mins. 11) Cool the loaf on a rack. 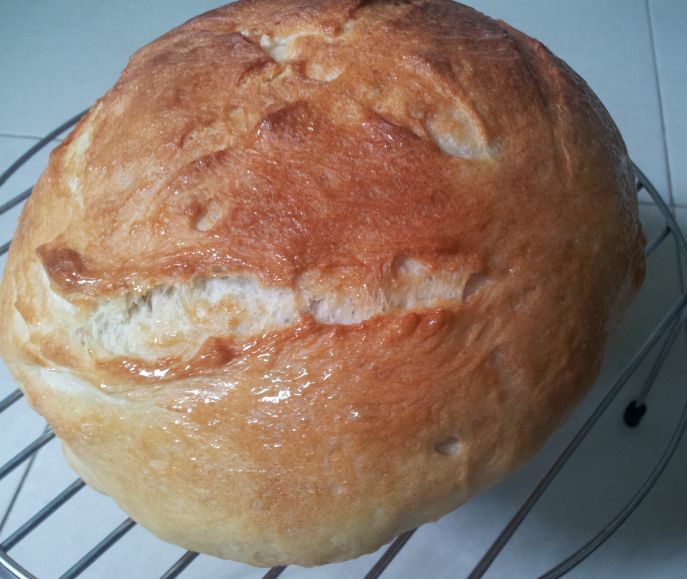 Keep bread loosely covered at room temperature on the day its baked. Wrap and freeze for storage. 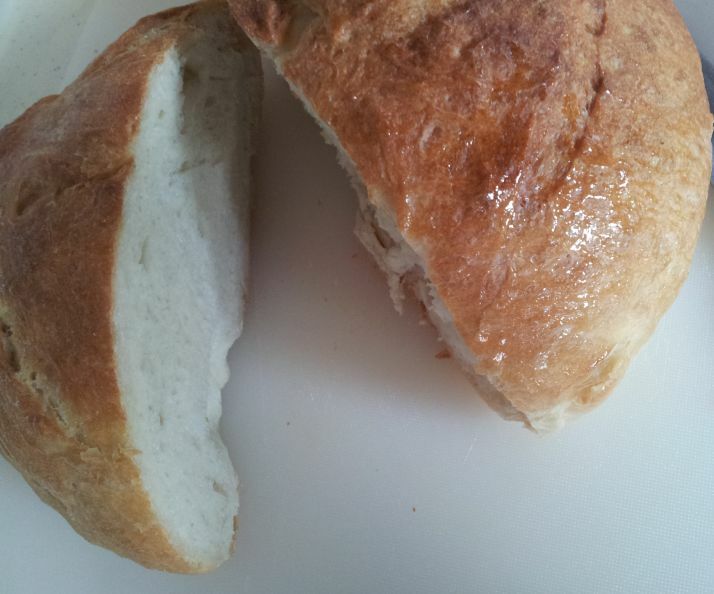 You can't really eat this bread on its own as it does not have any ingredients besides salt. 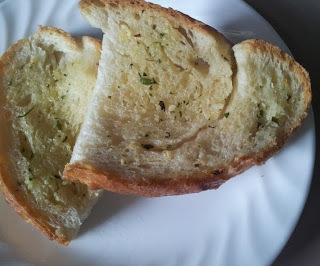 So I made my own garlic spread to go with it! The bread is so crispy on the outside, soft and fluffy on the inside! Loved it!